Pre-Order: Ships on April 23rd. José Ferreira’s introduction to coffee began when he was a boy spending holidays at his grandparents’ farm. Years later, after finishing university, he left bustling São Paulo for the familiar countryside outside of Caconde to tend to his family’s land. 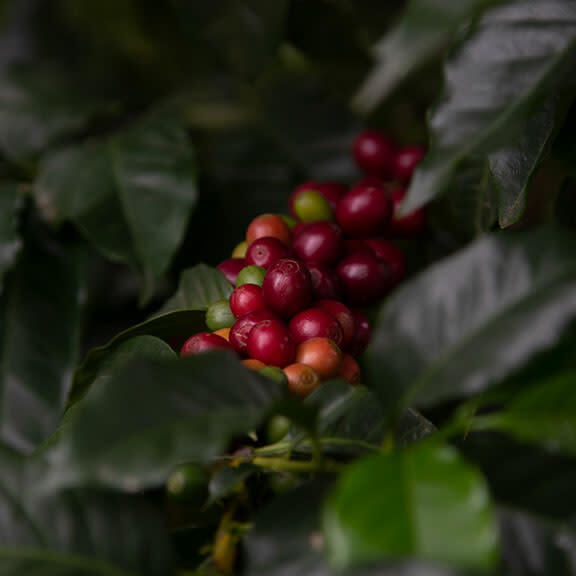 Like other producers there, José works with Fazenda Ambiental Fortaleza (FAF), a leading farm in the area that has single-handedly spurred an alternative movement for sustainable, organic coffee. Like FAF, José avoids using chemicals, relying instead on nitrogen-fixing crops and shade-giving trees, and tending to the health of the region’s watershed. Each bag of Brazil Caconde José Ferreira whole beans is shipped to you within 24 hours of roasting from our Oakland roastery.